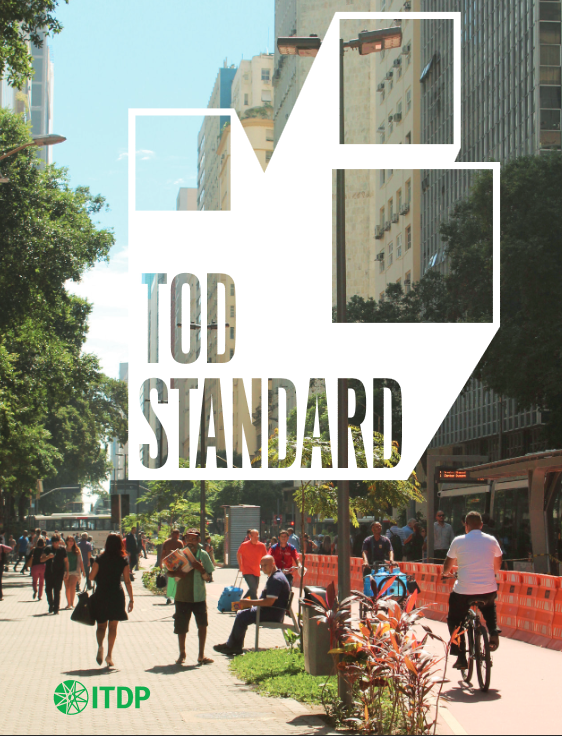 The TOD Standard stands for the rights of all to access the city: to walk and cycle safely, to easily and affordably reach the most distant destinations through rapid and frequent transit, and to live a good life free of dependence on cars. It also stands for equal opportunity, access to education and services, and advocates that the latter two are reachable via no- or low-cost mobility options. The TOD Standard serves a number of purposes. It acts as a condensed policy brief for governments and decision makers for devising plans, policies, legislation, and investment priorities that promote access for all as a basic common good. It is also unique assessment tool that enables the plans and products of urban development to be scored according to their adherence to the TOD principles and implementation objectives. Furthermore, it includes a recognition system that awards bronze, silver, and gold status to built development projects that fulfil the TOD objectives and embody the principles that TOD stands for. The TOD Standard serves as a resource for actors engaged in, or affected by the processes of urban development. This includes legislators, regulators, and policy makers; government agencies and technical staff; developers and investors; civic leaders; professional planners; and members of the public. The standard was developed by the Institute for Transportation and Development Policy and is endorsed by a number of international organisations, including UN-Habitat and the Ford Foundation.